We’ll get you up and running faster than the Genius Bar! 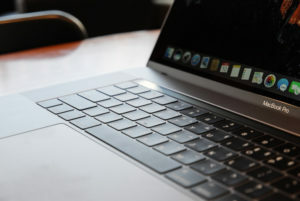 Is your Macbook not turning on? Maybe it turns on but doesn’t start up, or turns off briefly after you turn it on? This is very common. There are standard failure modes for each year which we are familiar with repairing. Apple often quotes €750 – €1250 as a flat rate to “fix everything.” They fit you into a specific repair tier regardless of your issue, often charging an exorbitant amount of money even if you have a simple problem. We can often fix the problem for less than half their price. Our approach is to figure out your specific, unique problem, and charge you for repairing that only. We can provide an estimate, but to give you a general idea of prices, see below. Pricing for specific services depends on the year & model of your machine. Feel free to reach out to us with any questions, the more detail you give us on machine history/year/model #, the better we can assist you. Liquid damage – €100 – €500: wide price range, but we fix it all! Book in your Mac for an estimate. We’ll give you an assessment of what is wrong and what needs to be done! If it’s too far damaged to be worth repairing, we’ll let you know. When you come to Mac Repair Ireland, WE fix it! Most companies outsource component level motherboard repair because they don’t know how to do it. The person you are talking to does not work for the company repairing your device, causing delays and unexpected surprises. As soon as you spill something on your machine you should stop using it! Turning it on will make it worse; electricity and water cause corrosion like the board in the picture. Even when damage is this extensive, we can repair it, but it is best to minimise damage. We work on all Apple devices. We’ll look at your device the moment we receive it and tell you the cost and the time frame to repair it. 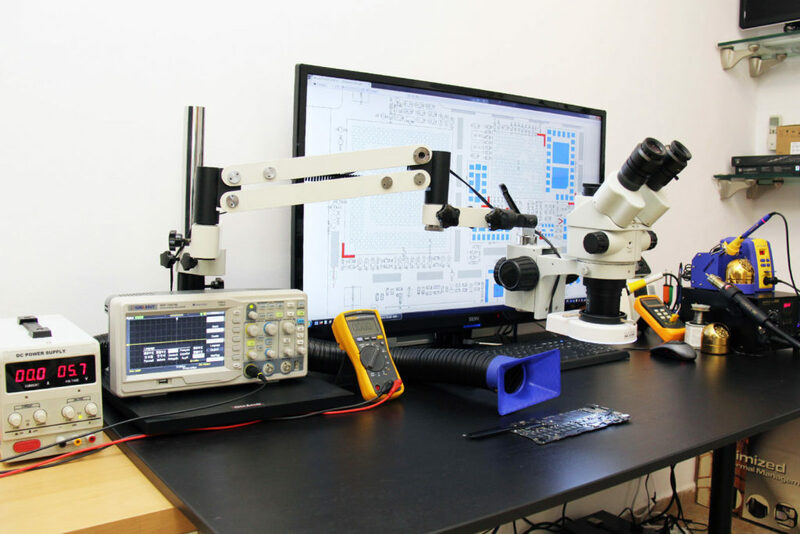 We invested to have on hand and use the best high-tech tools like Hakko, Weber, Fluke, Omano, Amscope, Rigol, Siglent etc., using them daily for our high quality logic board component level repairs. All of the parts and components we use during our repairs are the best available original replacements. We don’t make compromise with the quality of the materials needed during any repair. We use the world best brands like Amtech soldering paste and fluxes, Kester soldering alloys, 3M double-sided tapes etc,, Most of them are made in and imported directly from USA.